KILLEEN, Texas – September 10, 2016 – When Killeen’s Marksmen Firearms store opens for business Saturday, October 1, sportsmen and gun enthusiasts from across Central Texas will be lined up outside, ready to check out the new retail operation and enjoy opening day savings. It’s the second location of Marksmen. 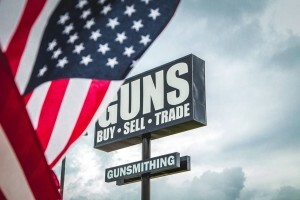 The flagship store in Mansfield, Texas recently celebrated two years of explosive growth in that location. “Our store is known for superior quality gunsmithing services, knowledgeable, experienced sales and management and the type of integrity you’d expect in a serious gun dealer,” says Joey Dello Russo, Corporate Operations Manager for the Marksmen brand. Marksmen Killeen is located at 2103 S. WS Young Drive in Killeen, across from the Killeen Mall. It’s a heavily trafficked retail area and the location reflects the Marksmen commitment to being an active, engaged part of the communities it serves. “The Greater Killeen Chamber of Commerce always looks forward to welcoming new businesses to our community, and we are excited to see Marksmen Firearms locate here and become a part of the chamber family!” says Rebekah Moon, Vice President of Investor Services. Shooter radio will all have live remotes and giveaways throughout the day. Marksmen has free guns for the first two customers in the door, and hourly giveaways on some of the most popular firearms it carries. Shoppers will enjoy deep discount on a number of top products. Doors open at 10am, but customers are expected to begin lining up outside the day before. Marksmen will be open 10am-7pm October 1st for the Grand Opening. Normal store hours will be Monday-Saturday, 10am-7pm and Sunday, 12pm-6pm. For more information, visit www.marksmenfirearms.com/killeen, and be sure to follow us on Facebook at Marksmen Killeen!